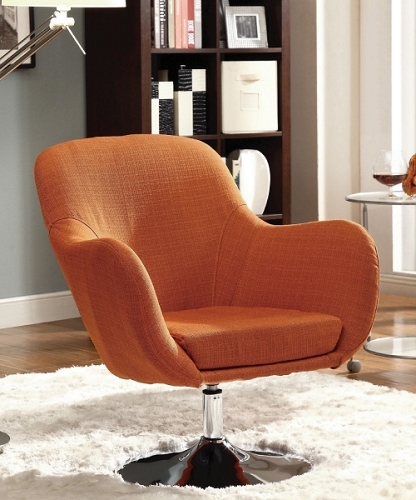 Give your living room a slightly retro style with the orange swivle chair. This accent chair has comfortable seating and a stunning chrome base. Measure: 29" x 28" x 33"